J came in about a lost filling. "You won't believe this! ", he exclaimed. "My son was going to eat a lolly the other day, he's only 5. I told him if you eat the lolly your teeth will fall out. So he gave it to me and I ate it and my filling fell out haha"
Hahaha you must have had a real good laugh. 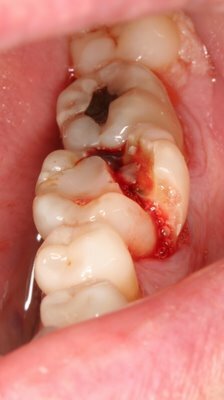 I have patients who don't brush their teeth and they say they have no idea why their teeth have caries. At least this guy is honest about it and has an idea why. did u laugh when he told u that? "Fire spear my arse that's a fcuking black boy"